A native of Michigan, Big Sean is not taking the Flint, Michigan water crisis lightly. Although Big Sean is one of the many celebrities taking note and helping of the water crisis in Flint, Michigan, he has decided to take a great step to support the community as they battle inaccessibility to clean water. 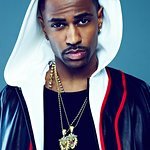 Big Sean and The Sean Anderson Foundation have teamed with CrowdRise, to " Help Flint’s Kids", an online fundraising campaign, which is raising funds to assist the Community Foundation of Greater Flint Michigan’s “Flint Child Health & Development Fund.” Big Sean started the campaign by donating $10,000. There’s also an incentive for donors: specific donation amounts qualify donors for the opportunity to meet Big Sean during his upcoming unannounced US tour. Big Sean expresses more of his thoughts on the water crisis in Flint, Michigan on The Sean Anderson website stating, " I am devastated by the water crisis that has put the entire city of Flint in a state of emergency …it is my hope we can help by raising the money needed to ensure that the children who have been hit the hardest receive the care that they need today and well into the future." Big Sean started the Sean Anderson Foundation to assist in the education, health, safety and well-being of Detroit Area school aged youth as well disadvantaged youth in other areas across the nation. To donate to Big Sean’s " Help Flint’s Kid’s fundraiser, visit the campaign at crowdrise.com/bigsean. To learn more about The Sean Anderson Campaign, click here.